Whether your pup is visiting for a day or spending a week with us, your pup will enjoy their stay at Happy Pets Hotel. It's important that our guests receive the perfect balance of exercise, relaxation, and TLC. Happy Pets Hotel offers doggie daycare and in home dog sitting services as well. 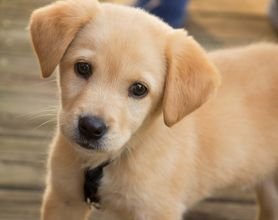 Emphasize the essential training commands needed to make a dog a good companion: heel on a loose leash, sit, stand, down, stay in position, and come when called. Much like people, every dog is different. Our experienced handlers and trainers will address the specific needs of your furry companion. 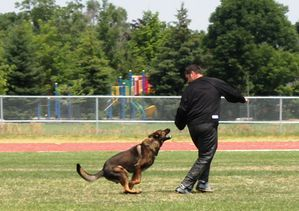 Happy Pets Hotel offers personal protection training for individuals. Our personal protection program will teach your dog to protect you, your family, and your property while remaining an affectionate and safe pet. Please note that not all dogs are good candidates for a personal protection training program. A thorough evaluation by our experienced trainers is required prior to enrollment in this program. Every pup needs a little pampering! There is no dog too big or small, Amber can do them all. Amber Meche is a certified professional dog groomer with over 12 years of experience. The well being of your four-legged family member is extremely important to her and she strives to make every grooming experience a pleasant one for your fur baby. Fill out the form below for more information on any of our services.